Xenetic is a leading UK-based biopharmaceutical company providing leading-edge expertise in the development of a whole new generation of drugs, cancer therapies and vaccines. Pipeline products are based on Xenetic’s proprietary drug and vaccine delivery technologies and have been developed to offer improved performance and delivery characteristics. Xenetic’s unique delivery technologies are also able to create new high-value, differentiated proprietary products from off-patent actives. Xenetic has established a range of partnerships with major US, European, Russian and Asian biotechnology and pharmaceutical companies to develop new protein therapeutics and vaccines. Click here to learn more about the work we do with our partners. 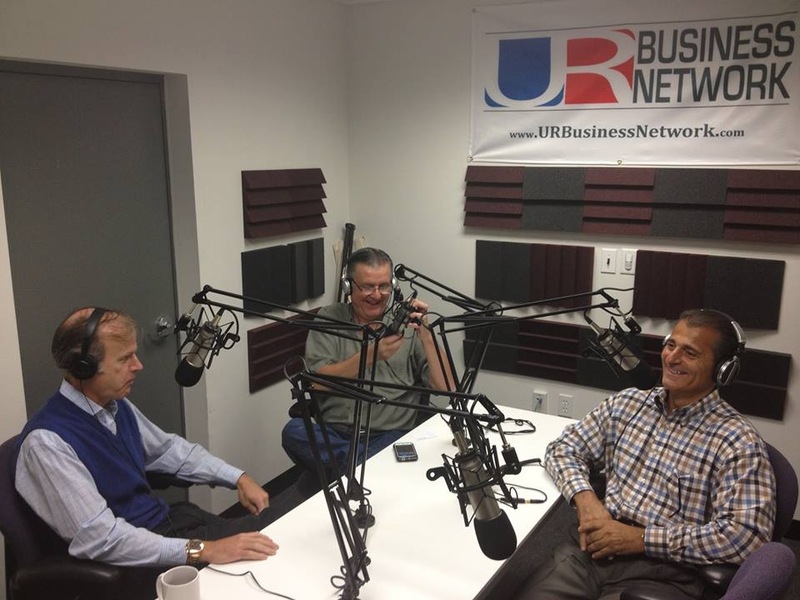 Pictured with Parcae Capital’s Frank Magliochetti (right) are Rick Brutti ( center) host of the MYOB Radio Program on the UR Business Network and M Scott Maguire – Xenetic CEO. Mr Maguire joined Xenetic as Chief Executive Officer in April 2004. His background is in life science and healthcare investment banking and he has advised many US and European companies on capital raisings and commercial development over his 22 year career. Mr Maguire began his banking career with Merrill Lynch in 1987 in New York and after receiving his MBA in 1993, he joined the healthcare division of W.R. Grace National Medical Care where he helped create the international healthcare division. In 1996 he co-founded the Arthur Andersen global healthcare corporate finance practice based in London. Mr. Maguire is currently director of Healthcare Capital Partners Limited, a healthcare corporate finance and proprietary investment boutique he co-founded in 2002 and a non-executive director of Renal Services Ltd, a company focused on dialysis service provision in the UK.